Under the patronage of H.M. The Queen, the Royal Tennis Court Club is the oldest established real tennis club in England. 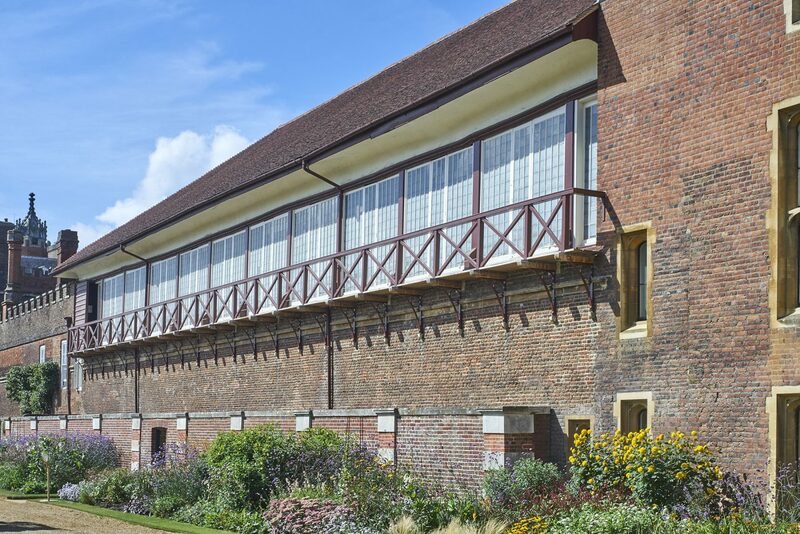 The building is considered the spiritual home of real tennis, perhaps because of the associations of both the game and the palace with Henry VIII. The building has its origins in the 16th century, substantially remodelled in the 17th century and ‘restored’ during the 19th and 20th centuries. 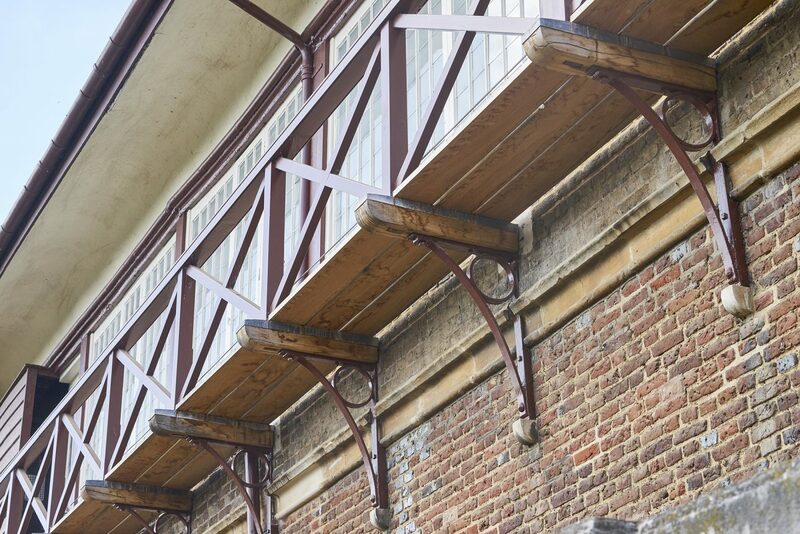 Donald Insall Associates was appointed to undertake an investigation into the structure and identify repairs as well as lead conservation works to the roof. New tiles were fixed on complete pitches, allowing the reclaimed tiles to be laid, imitating the spirit of the pattern on the west pitch recorded with rectified photography. 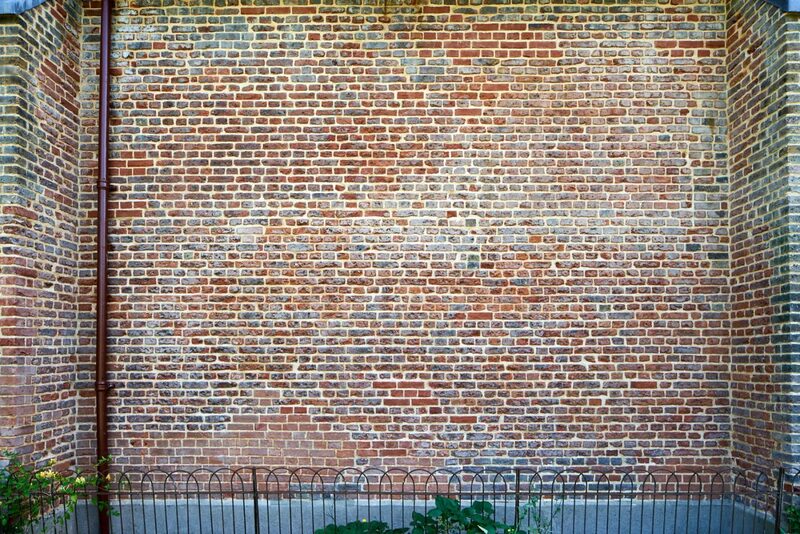 Extensive brick repairs were carried out to the east side using specially made bricks so as to match the existing ones. The work was completed without a temporary roof and with minimal disruption to the tennis club. At a late stage in the project, Historic Royal Palaces instructed timber investigation, including dendrochronology, to be undertaken. Perhaps the most exciting outcome of the project was that this testing indicated that the roof of the building was probably erected in 1636, and not in 1660 (as had previously been believed). This would make the roof an important early example of king post construction. 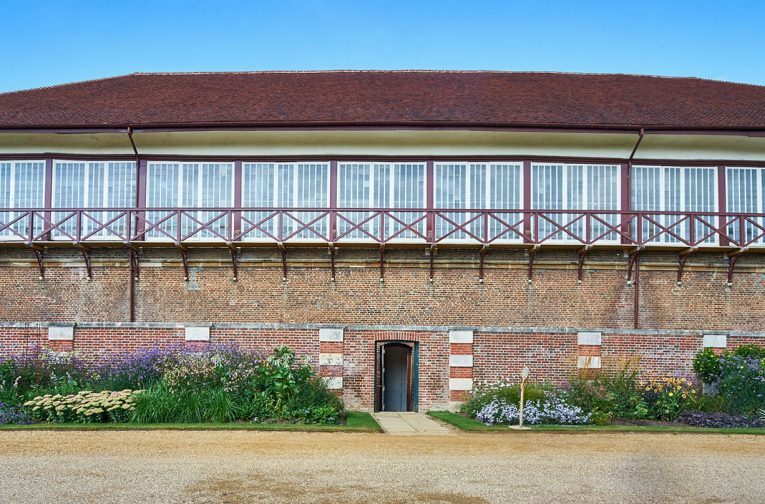 On this date it would connect the Royal Tennis Court closely with Inigo Jones, who was Surveyor of the King’s Works from 1615 until 1643, and is known to have been active at Hampton Court in the 1630s.